These are the top ten most popular bulbs this season. 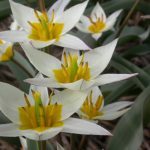 Ad Rem Tulip has a large bowl shaped flower when fully opened. The red veining in the yellow edge is quite stunning . Featuring a long stem and large flowers. Ad Rem is excellent for cutting. Very eye catching in sunlight. Ad Rem was registered as a variety in the 1960's and was very popular then due to the pop-art nature of its vibrant colour. 'Ad Rem' means bright and perky or witty in Dutch. Salvo is a real stunner! The soft white petals are edged with hot fuchsia-red. Flower Record is the classic purple crocus with a pale white throat that's visible on bright sunny days. The flowers are also a great source of early nectar and pollen for bees. Christophii are also called Star of Persia. They produce huge globes of small star-shaped, pinkish-purple flowers in early summer above narrow, grey-green leaves. In bloom these fabulous globes - up to 20cm in diameter - have a metallic sheen. Allium Christophii are easy to grow. 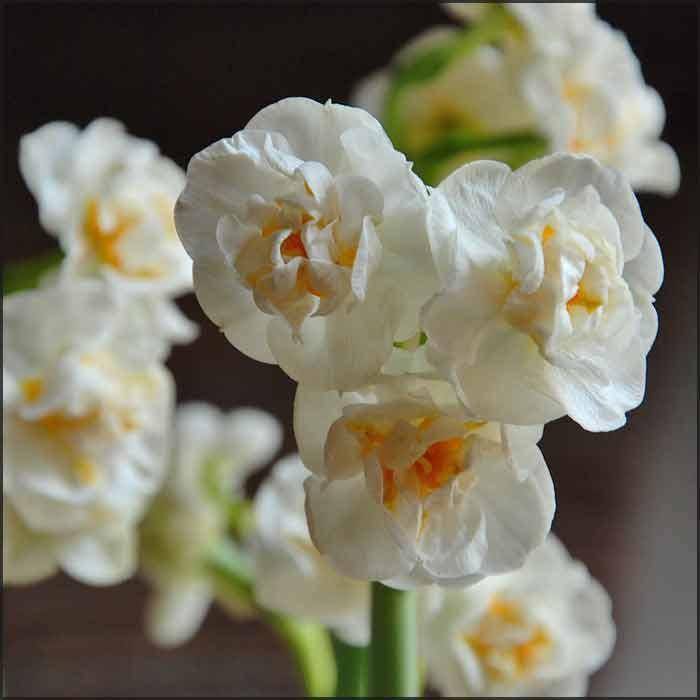 This is a really eye catching daffodil with soft white petals with a deep red eye. Also called Pheasant Eye, Narcissus Recurvus has a delicious sent and will flower mid to late spring. 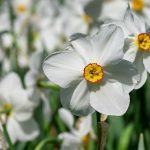 Very tolerant of most soil conditions and performs better in moist/wet conditions than other narcissus. 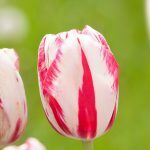 The classic tulip - a lovely rich dark red tulip with yellow base. Will stand well in the ground or as a cut flower. 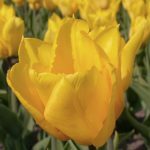 Yokohama is a stunning bright yellow colour and is one of the most cheerful tulips in mid spring. Beautiful cup shaped blooms and very strong stems to withstand wind and rain. 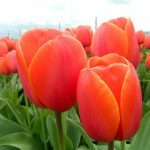 Organic Tulip Yokohama is also scented and stands well. No rush but they are selling well - and when they're gone...they're gone!